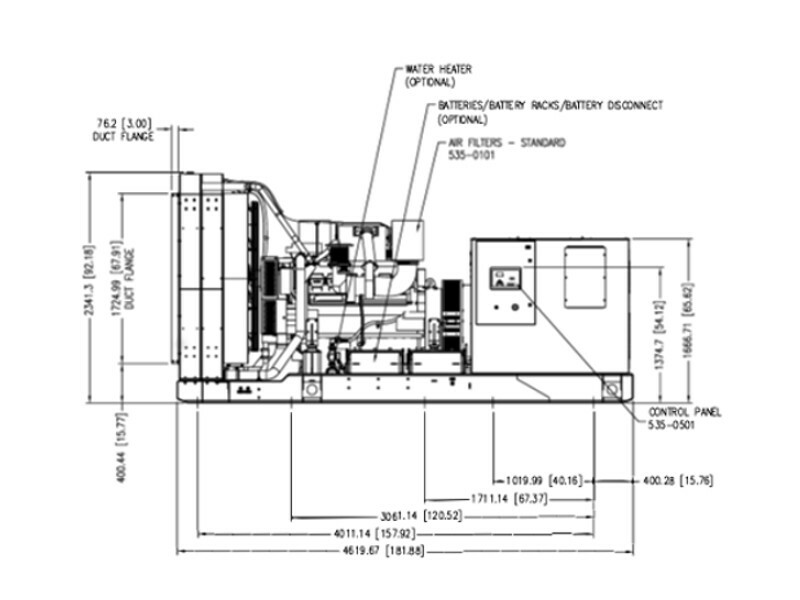 CURTIS ENGINE PROVIDES DIMENSIONAL DRAWINGS AND WIRING DIAGRAMS FOR EACH PIECE OF EQUIPMENT OFFERED AND CAN CUSTOMIZE THE DRAWINGS TO FIT YOUR UNIQUE APPLICATION. Dimensional information and detailed drawings are available from our suppliers to help engineers, contractors, and owners purchase the best product for the project application. The drawings include exact measurements for exhaust outlets, fuel inlets, oil drain location, radiator opening, and mounting points. The drawings are available in .pdf and .dwg formats. Our sales engineers can customize each drawing to meet exact project requirements including electrical stub-up and circuit breaker locations, flexible fuel line locations, battery charger placement, and block heater circuit locations. For a specific drawing or to have one of our experts help you design your project, please contact us.